The evolution of smartphones has been fast and furious. Their processors are faster and more powerful than ever before. Storage size has increased, and with Android, you can have even more when you install a memory card. These advancements in technology have made smartphones powerful enough to handle the workload of a desktop computer. Some key factors keeping people from doing this are the phones' small screen, and the lack of a mouse and full-size keyboard. 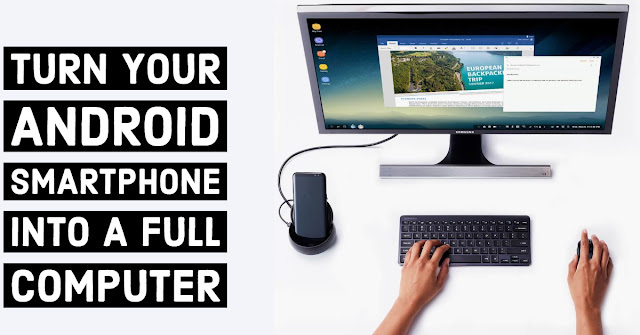 All that you have to do is attach your smartphone to a TV/Monitor and plug in a keyboard and mouse and voila you have a full-fledged portable PC. Most Android smartphones today are more powerful than we give them credit for. You use your phone for email, you type up notes, you probably do some image editing, you play games — and so much more. For all intents and purposes, this smartphone sitting in your pocket is a personal computer. It’s arguably as powerful as many devices sitting on desks in offices around the world. So why not use it to replace your desktop PC? The Andronium OS will turn your Android gadget into a fully functional computer by attaching it to the SuperBook, which I'll detail later. Andronium OS is actually an app instead of an entirely new OS. This is great because you will not need to root your phone. Instead, you only have to download it from Google Play and use it like any other app. It is currently for a limited time free public beta. Click here to download the app. 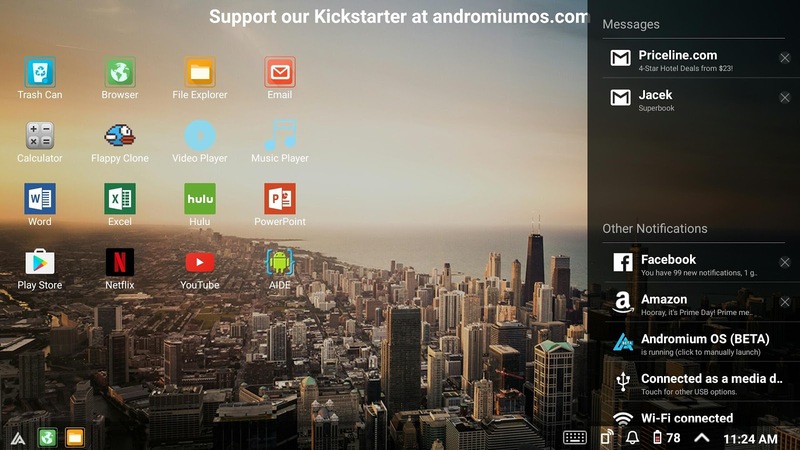 The Andronium OS app creates a desktop environment that allows you to use all of your smartphone apps on a bigger screen. After setup, download your smartphone desired applications and start using it just like a computer. However, keep in mind that your smartphone cannot match the strength of an actual computer. Also, Sentio Desktop cannot equal an authentic Windows or Mac OS. This setup is a cost-effective temporary alternative when your computer is not available or it’s not working.